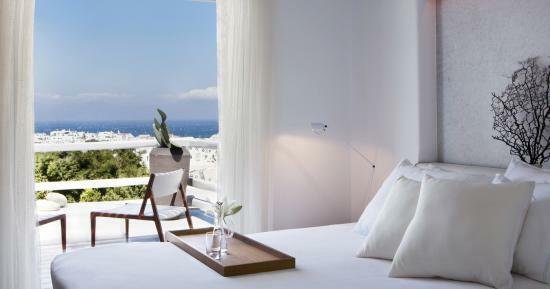 The bright and inviting Hilltop Sea View Rooms are the ideal retreat after a long day in Mykonos. 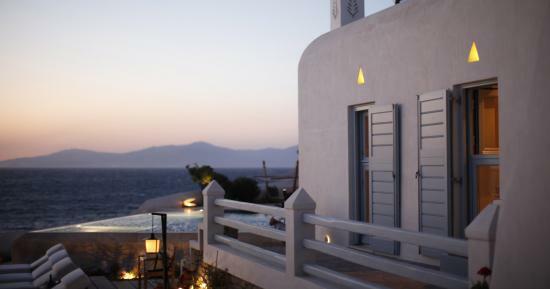 The spacious and luxurious rooms are located on the ground or upper floor and are featuring terraces and balconies made for sunset dreaming or stargazing. 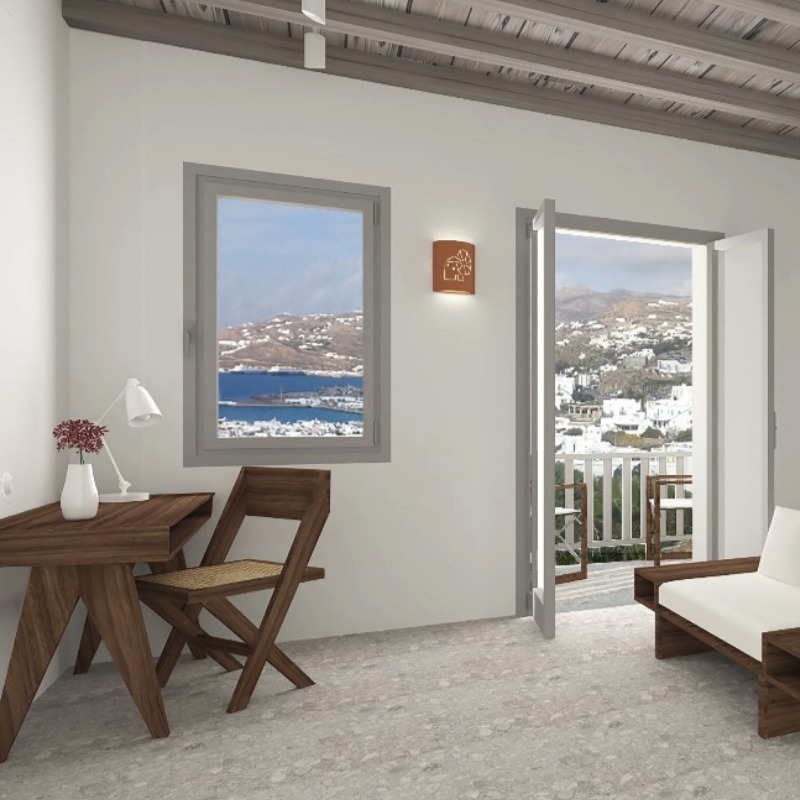 Following the purity of essence found at Belvedere Mykonos Hotel, the Hilltop Sea View Rooms are showcasing minimal Mykonian design elements combined with luxurious details. 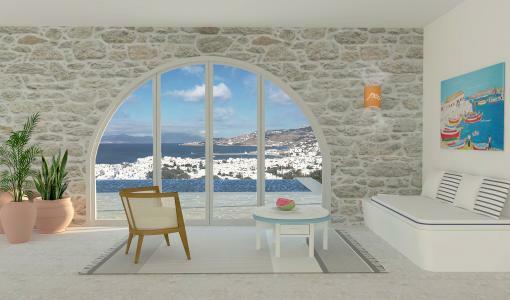 However, if you fell in love with the view we can understand! 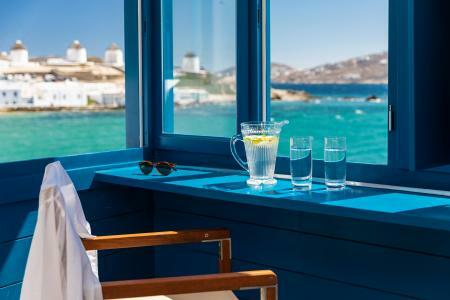 Order a signature cocktail and relax in the privacy of your own!